To create an interactive platform of various stakeholders to collectively address issues and challenges in waste management. The program started with a brief inaugural function. Dr. Godfred Victor Singh, Director of Programs, CSA extended hearty welcome to the participants. Mr. Ranjit Ambastha, Program Director of Global Communities shared concept note. Mrs. Almitra H. Patel, Member of Supreme Court Committee for Solid Waste Management delivered the key note address. As sharing of practises in waste management was one of the important objectives of the one-day convention, Mr. Ranjit Kumar Singh, Program Manager of CSA presented the best practices promoted through “Trash to Treasure” project. Dr. Francin Pinto, 3 S Envo P8 Ltd, Mumbai, presented her perspective on “Resources Recovery Facilities”. Mr. S. A. Khadar Saheb, Clean City Foundation, Hyderabad, Andhra Pradesh also shared the success story of Garbage free, Bin Free & Dump Free. 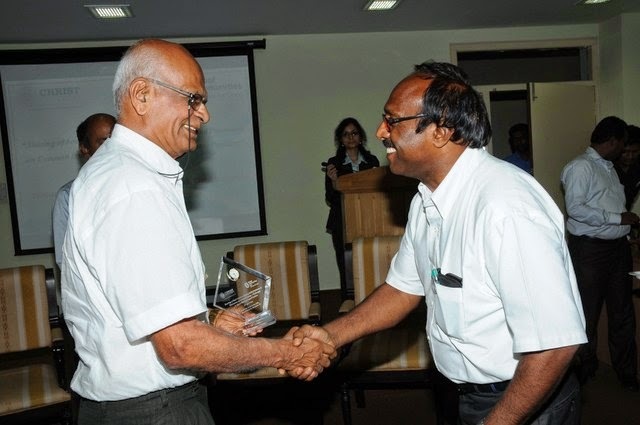 Mr. C. Srinivasan, Coimbatore advocated for Solid & Liquid resource management (SLRM). 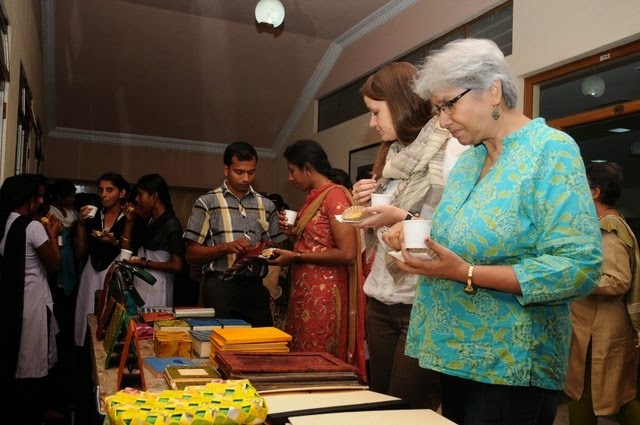 Ms. Neetu Peter, Program Head of SAAHAS, Bangalore, presented some models promoted through Kasa Rasa 1 and 2. Mr. Akshay Yadav, Director of Operations, Hasirudala also approached the subject by integration of waste pickers in total waste management and dry waste collection centres. After each presentation the flow was open to question from the audience. Panel discussion on “Effectiveness of Policy and Technological Adequacy in Addressing Waste Management Crisis in India” was one of the important agenda point. 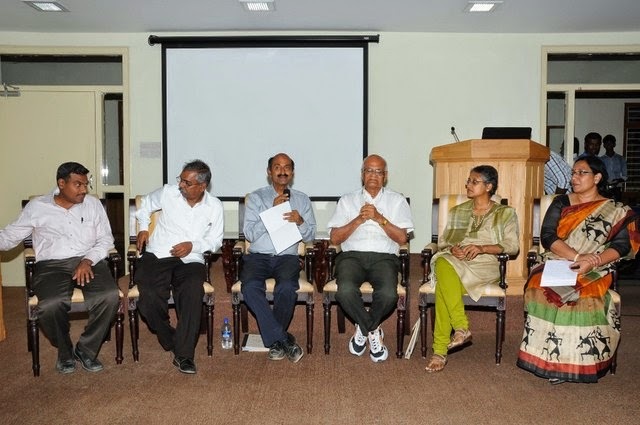 Eminent speakers such as Dr. Francin Pinto, Mr. S. A. Khadar Saheb, Mr. C. Srinivasan, Ms. Sandya Narayanan and N. S. Ramakanth were the panellists to deliberate on the subject. The panel discussion was moderated by Sampath Kumar who is an expert in the waste management field. Indeed it was an enriching and unique experience of learning from one another. 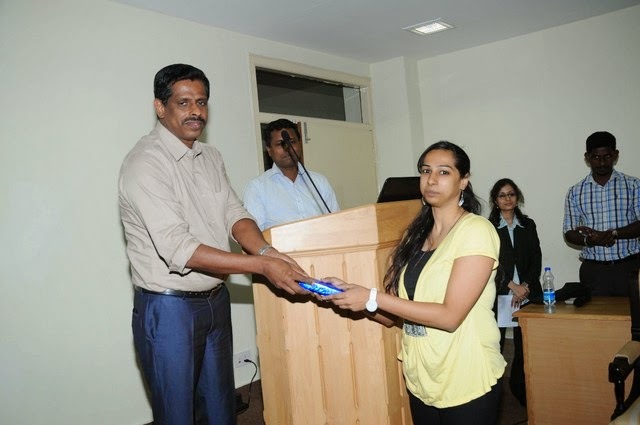 Every participant appreciated the effort for CSA and Christ University and expressed willing to collaborate in promoting safe, systematic and scientific management of waste resources. The program came to an end with vote of thanks proposed by Prof. Johny Joseph who emphasised the need of collaborative effort to promote systematic and sustainable management of waste resources. A three day training programme on Training the trainers program for Master of Social Work students and Field workers from NGOs working with adolescents was organized by the Department of Social Work, Christ University, Bangalore, sponsored by ICMR (The Indian Council of Medical Research), New Delhi from 21- 23 April, 2014. Main objectives of this programme was to facilitate the Post graduate trainees of Social work and field workers of NGOs in planning and implementing appropriate programmes for the adolescents as part of their field work placement as well as in their career in the communities, schools and institutions for adolescents. 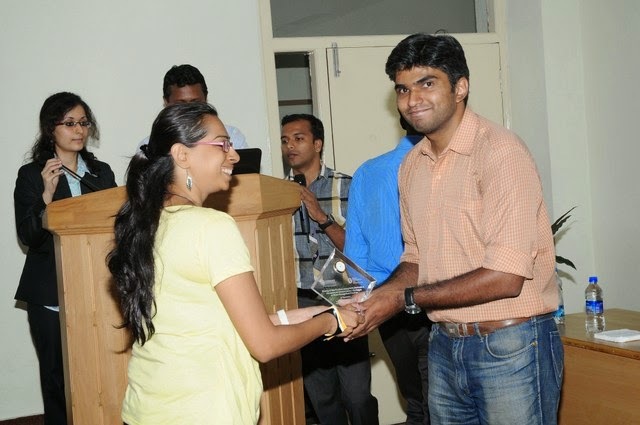 The training was held in the Conference hall Room No: 505 of the Central Block, Christ University from 21st-23rd April, 2014. 16 participants including fieldworkers, field staff, academic counselors and PhD scholars working with Adolescents attended the training programme. 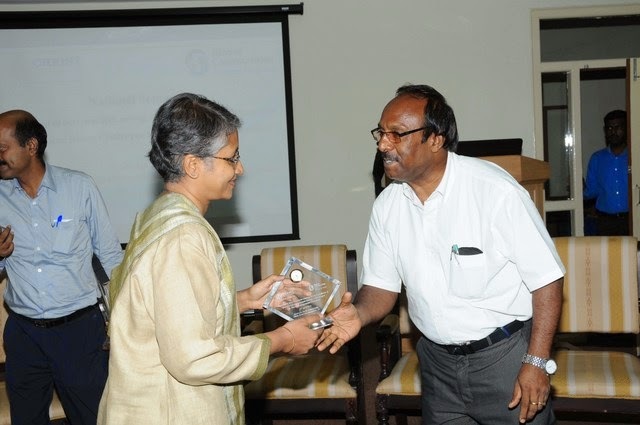 The training programme was inaugurated by Professor Mallika Krishnaswami, Dean, Humanities and Social Sciences, Christ University, Bangalore. 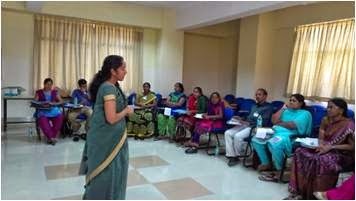 The first day Dr Sheeja Karalam was the main speaker who gave an introduction to the training programme and conducted sessions on what makes a Good Trainer. Ms Benitta Itty, Consultant, Anti Trafficking conducted sessions on how to carry out life skills training for the Adolescents. 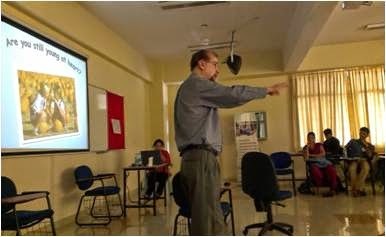 The second day of the training programme Dr Ali Khwaja, Chairman, Banjara Academy, Bangalore, was the key speaker who educated the participants on Management of Adolescent issues. 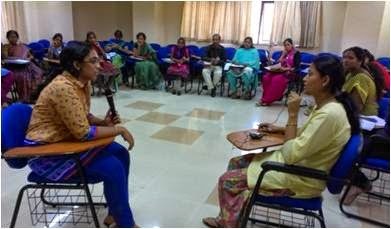 It was followed by the lecture on how to conduct sessions of Developmental changes in Adolescence, Sexuality, STD’s and HIV/AIDS and General health check up, Personal counseling, Peer group training by Dr Sheeja Karalam, Associate professor, Dept of Social work, Christ University. 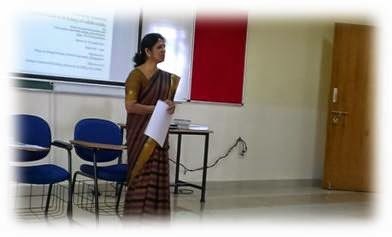 How to conduct sessions on Management of drugs and alcohol addiction among Adolescents, handling Cyber bullying and internet addiction was handled by Dr Divya Ravindran, Research Consultant, Child Protection Unit, UNICEF-DWCD, Bangalore.She also spoke about legal awareness, Protection of children from sexual offences Act, 2012, Gender issues and career and vocational Guidance. The third day, a group assignment to the participants on preparation of Psychosocial well-being program for adolescents was given by Dr. Sheeja Karalam. It was followed by Review and Evaluation of the programme by the participants, Post- assessment on trainer’s knowledge, attitude and skills. Professor Mallika Krishnaswami blessed the concluding session with her presence. She encouraged the participants to share the experiences and insights they had during the three day workshop. The certificates for participation were distributed. Soon after that all the participants had the opportunity to receive a smiley ball. Dr Sheeja Karalam curtained the experiential three day workshop by giving a vote of thanks to all present there. She thanked each one for their presence and for spending their invaluable time to learn, share, develop and get inspired all throughout the three days of workshop. 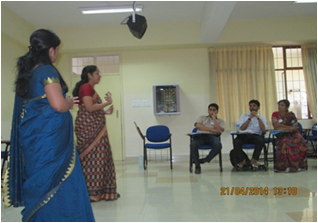 Feedback was given both orally and in written form by the participants. The 16 participants gave satisfactory feedback about the training programme. They unanimously admitted and proclaimed that the programme was very much helpful for them, and that it helped them to develop insight into the problems faced by Adolescents as well as the ways to deal with them. 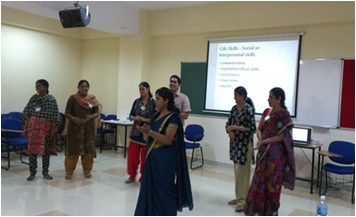 After the three day training programme the participants stated that they were educated, enlightened, motivated and enabled to reach out to the Adolescents and make a difference in their lives.The training was coordinated by Dr. Sheeja Karalam, Associate Professor, Dept. 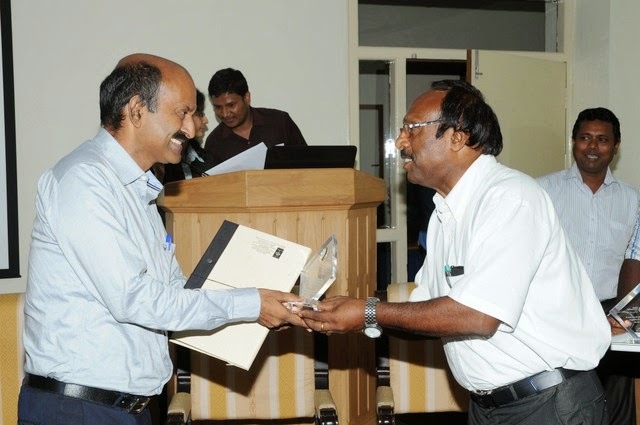 of Social work, Christ University, Bangalore.